Dublin, capital of the Republic of Ireland, is divided in two by the Liffley river. On the south side there are the Old Town and the more beautiful neighborhoods to visit. 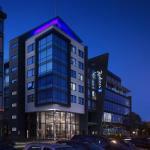 To find accommodation in Dublin is not difficult and the choice is really wide. The most luxurious hotels and guesthouses are near the Old Town and close to Temple Bar (the neighborhood where there are pubs, restaurants and shops). There are also cheapest solutions: near Trinity College, the oldest and most prestigious university in the city, and close to Phoenix Park, one of the largest enclosed city parks in Europe. Where to sleep in Dublin: regarding the hotels, Dublin offers tourists a wide choice, from luxury 4 or 5 star hotels to cheaper pensions often housed in historic homes. Cheap hotels are located in popular neighborhoods, such as Ballymun, Coolock, Dolphin's Barn and Tallaght. Hotels near Temple Bar, the historic part of the town, perhaps suffers the chaos and the noise of the district where flows the night life of the Irish capital. A quieter district where to sleep is St. Stephen's Green which is anyway only a dozen minutes from the heart of the city. Another area where to find cheap hotels is Fitzwilliam Square. Normally, prices of hotels in Dublin don’t undergo large seasonal variations, except during special events like the St. Patrick Day and the Dublin Horse Show, an equine completion and show among the most famous in the world, held in August. 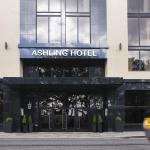 Booking online a hotel in Dublin is always advisable, however, partly because hotels often offer discounts to those who use Internet to book the holiday. 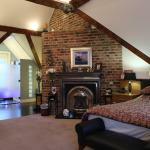 The B&B in Dublin are extremely numerous, as well as accommodation and low cost hotel. The capital of Ireland is a young city, where the 30% of its one and half million inhabitants are under 30 years. Why to visit Dublin: Dublin is a unique city because it has succeeded in giving birth to writers such as Jonathan Swift, Oscar Wilde, James Joyce, Samuel Beckett, Bram Stoker (creator of Count Dracula) and world-renowned artists such as U2, Cranberries and Sinead O'Connor. Surely, you must visit the Trinity College, the oldest university, the Cathedral of St. Patrick's, the Phoenix Park, the largest park in Dublin, and, for the keens, the Guinness Brewery. The district of Temple Bar is fun, full of bars, pubs and restaurants, always crowded with musicians and street performers. An ideal day to “live” Dublin in all its splendor is the 17th of March, St. Patrick's Day, the patron saint of Ireland. The town goes green in honor of the national color: demonstrations and parades follow each other and are filled with local citizens and tourists on holiday. The Herbert Park Hotel is located in Dublin, in the heart of the business district of shops in Ballsbridge, overlooking the large Herbert park. From here you can easily reach the Lansdowne Road DART Station. The Baggot Court Townhouse welcomes you in the heart of Dublin, just minutes away from the department stores in Grafton Street and St. Stephen's Green. The lively Temple Bar district is just 15 minutes away. Castle Hotel is an elegant Georgian building in Dublin city center, near Croke Park and the shopping roads. All the rooms are elegant and furnished in a traditional Georgian style. The Merchant House is situated next to Dublin's Button Factory, Temple Bar. This luxury hotel occupies an ancient building of 1720 and welcomes you with its soundproof suites, elegant and tastefully furnished. 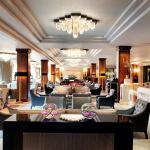 The Westbury Hotel is an elegant five-star property located in the heart of Dublin, close to Grafton Street. The luxury rooms feature all the comforts including wireless internet, i-Pod docking station and LCD Tv. 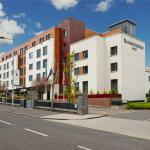 The Croke Park Hotel is a charming hotel located near the famous Croke Park stadium in Dublin, in a location convenient to reach the centre of the Irish capital.